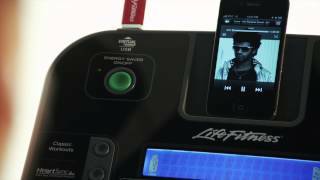 Fitness Savvy looked online and collated all the reviews we could find for the Life Fitness T3 Treadmill. Out of 25 customer ratings, this running machine scored 4.5 out of 5. One customer states that it was not possible to re-edit a custom workout, even though the instructions say you can. Technicians were unable to help, either. A reviewer commented that it appears to wobble ever so slightly when performing speed work near 12 mph. This was his reason for giving the product 4 stars instead of 5. Although designed for use at home, the Life Fitness T3 Treadmill wouldn’t look or feel out of place on the cardio room floor of your local gym. With reviewers praising the long-life durability (15+ years in one instance), it’s easy to believe the hype. With a powerful motor, 15% incline, and 19 km/h top speed, it has all the features you’d expect in a mid to high-end treadmill. Available with a choice of two console options – the Go Console and Track Connect Console, this treadmill will appeal to all fitness levels, from beginners through to seasoned runners. 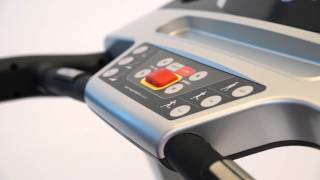 3.0 HP DC motor: featuring Life Fitness’s trademarked MagnaDrive motor controller, this motor is both powerful and quiet. FlexDeck Absorption System: this patented design reduces joint impact by up to 30% when compared with similar treadmills. Incline: increase the intensity of your workout with the 0 – 15% incline, adjustable in 0.5% increments. ErgoGrip front handlebar: for added safety and stability. Simple navigation and ergonomically placed controls, including a lower control pad that brings the buttons you use most often closer to you. Oversized, dual cup holder: never get thirsty again! Wheels/rollers: easily move the treadmill thanks to the 2.6″/2″ (front/rear) precision crowned rollers. 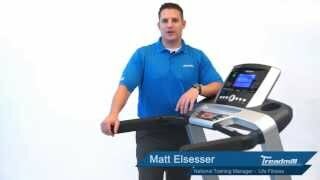 When purchasing the T3 treadmill, you’ll need to choose a console. The Go Console is the cheaper option, and as you would expect, comes with less advanced options, The Track Connect Console, however, includes more advanced features. Display feedback: the same as the Go Console, with the addition of animated METs symbols. Workout Programmes: 16 – the same as on the Go Console, with the addition of Fit Test, Cardio and custom HIIT (high-intensity interval training) workout. Bluetooth: sync the track connect console with partner apps such as Nike+, MyFitnessPal, RunFit, Apple Health, Jawbone, Garmin and Fitbit. If you want to find the Life Fitness T3 on sale, need a discount code, or want to compare prices, then you’re in the right place! At Fitness Savvy, we compare prices from a huge range of retailers including Argos, Amazon, eBay, Best Gym Equipment, Fitness Superstore, SweatBand and many more. With prices changing regularly, it is important to check back with Fitness Savvy to find the best price before you buy. We’ve also included discount codes which might be relevant to the T3 treadmill. Check out the ones listed below to see if you can save even more! In case you’ve lost your copy, or want to check it out before you buy, here is a link to the Life Fitness T3 Treadmill Manual PDF. Here, you will find info regarding spare parts, assembly instructions, maintenance advice, diagnostics, calibration and answers to error code such as speed stall errors.